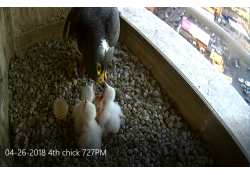 Yesterday, the smallest female chick stretched her wings and took a jump off the building. 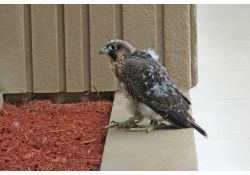 Our young endangered Peregrine Falcons will soon be learning to fly. 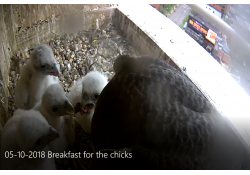 The chicks are certainly acting adventurous and bold. 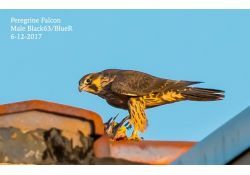 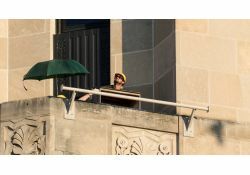 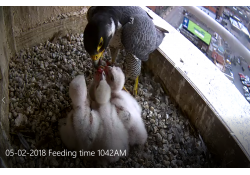 Check out the Kalamazoo Gazette article and great photos of the Peregrine banding on May 17, 2018. 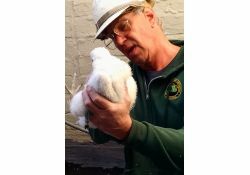 The chicks were banded by three Michigan DNR biologists on Thursday May 17. 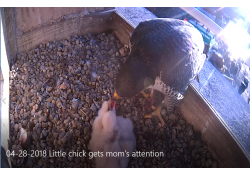 The chicks are about a week old and are growing fast. 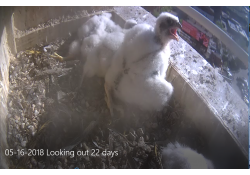 The chicks are doing well. 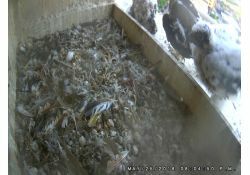 They look active and alert and are well fed and attended to by Rebecca and Kewpee.